To report the analysis result to CAD Manager, and propose for improvement of Judgment Guideline / Policy / Process. To maintain the Judgement Guideline and ensure the content is kept up to date. 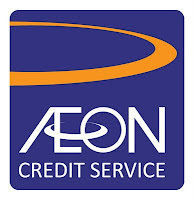 Authorization services for AEON Credit Card to minimize credit losses and to mitigate fraud risk. Review and monitor online fraud alert system in order to mitigate fraud loss. To monitor, compile & distribute the negative listing disseminated from member bank. To closely monitor and ensure the department's operation and reporting compliance. Perform back-up functions for other related functions within the unit as and when required by superior. Send Telex to acquiring bank for verification on suspicious fraud transactions. Facilitates and performs authorization services and real time transactions monitoring to minimize credit and mitigate fraud risks towards maximizing a business wealth. To lead, supervise and monitors authorization team daily operating activity to constantly achieve the targeted SLA abiding defined policies, guideline and procedures. To source a data compilation and prepare daily, weekly and monthly scheduled report for operation and management review. to facilitate and conduct training for new hires, provide updates, briefing and refreshers on new task/system as and when required. To undertake assigned work and manage relevant processes, people and / or projects. Prepared and continuously update process manual and procedures for authorization from time to time. Kindly send your CV and the recent photograph to: HRD Department PT. AEON CREDIT SERVICE INDONESIA Plaza Kuningan (South Tower), 3A Floor Jl. HR. Rasuna Said, Kav. C11-14, Jakarta 12940 Please state the position code in the subject of your application. For detailed information & apply online, please refer Apply on following link below. All applications will be treated confidentially.